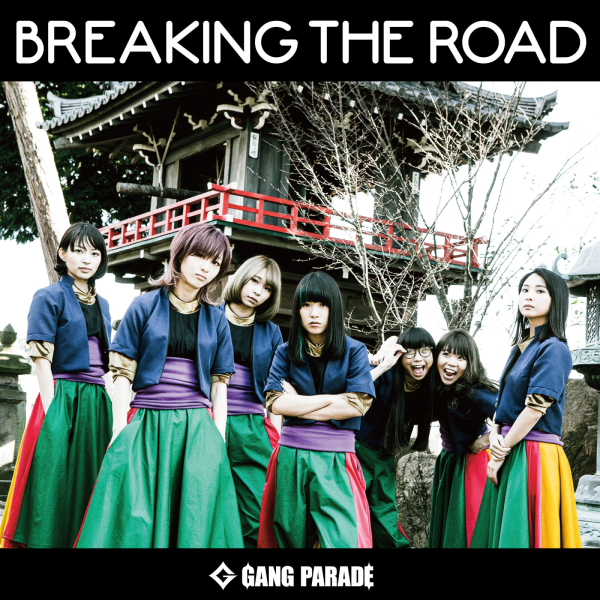 My thoughts on “BREAKING THE ROAD”, the most recent single from GANG PARADE. For GANG PARADE, 2017 didn’t just end with them releasing an album titled “GANG PARADE takes themselves higher! !” (review here) but it also felt like they had actually performed said act as well. Relentless touring across the country and releasing some of their best material to date saw the group cement themselves as the clear #2 in the WACK hierarchy. Much of which was done while trying to adapt to the curveball that was the Aya Eight Prince and Kamiya Saki shock switching of places mid-way through the year. Something the group managed to shrug off with relative ease. Well, that trade is coming to an end in a matter of weeks…barring any more surprises at least. Couple that with Pour Lui’s graduation from BiS and WACK has created quite the storm of publicity around both groups. I have to say that it’s quite interesting to see people in the Western fandom being sad that the trade is coming to an end, considering the very loud resistance it was met with when it was first announced. I guess the internet really does still hate change, at least initially. WACK on the other hand certainly seems to love change, especially when it’s of the headline grabbing variety. That’s getting away from the main point of this article, which is of course my thoughts on GANG PARADE’s newest single “BREAKING THE ROAD”. This is presumably Aya’s last single with the group so whether intended or not this is going to be seen as her farewell of sorts. GANG PARADE also have quite a lot of hype to live up to after releasing what was one of the best albums of 2017, an album that saw them experiment with some very interesting new sounds. How is this single going to play out? Even I’m not sure, so I guess we better get this review going and find out! So we start out with “BREAKING THE ROAD”, which makes sense since that’s the name of the single and all. It’s always hard to know what to expect when it comes to GANG PARADE but if I’m being honest, I expected a bit more than this. “BREAKING THE ROAD” sounds a lot more traditional compared to recent output, which is fine, and I can imagine it being quite the anthem live given its built in call and response moments. Vocally GANG PARADE are flexing on everyone like usual but I feel like I’ve already heard this song before from them or maybe another WACK group. Now I can get behind the idea of a more Ballad style of Punk song, but that drumming is making it kinda hard for me to get into it honestly. It just sounds really muddy and it’s hardly subtle which also doesn’t help. This is an okay song, but we all know GANG PARADE are capable of much better. “Toro Ikura Uni Tabetai” or “SUSHI SONG” as the YouTube video title states, is this single’s only b-side and as you might have guessed it’s all about sushi, specifically wanting to eat it. This is a kinda silly song on several levels I suppose but when you actually listen to it, it’s really good. It’s in the “club banger” EDM style that GANG PARADE are pretty fond of, which probably means it’s pretty darn good in a live setting if their other songs are anything to go by. I feel like I should be ashamed to admit how much I love the overly simplistic chorus they’re using, but I’ll be damned if the repeating line of “Toro Ikura Uni Tabetai” didn’t get stuck in my head. Honestly, as goofy as this song is I would have definitely preferred this to be the a-side, but as long as it exists it probably doesn’t matter what order they put them in. I highly recommend you check this one out. Well, “BREAKING THE ROAD” the song ended up being a bit more of a speed bump than anything if I’m being honest. Or perhaps you could say that it’s pretty…middle of the road as far as GANG PARADE songs are concerned. I’ll stop there. On the other hand, the b-side is awesome when it’s usually the opposite on GANG PARADE singles. Definitely a single worth checking out, but make sure you listen to that last album first/as well. Now things get interesting in the GANG PARADE camp. Saki will presumably be back for whatever release is set to follow this one and I’m sure plenty of people out there will be delighted about that. Whether that will mean any real change in musical output is anyone’s guess (it probably won’t). One thing is for sure though, they’re definitely going to have to fashion some shorts out of a pair of those baggy pants.